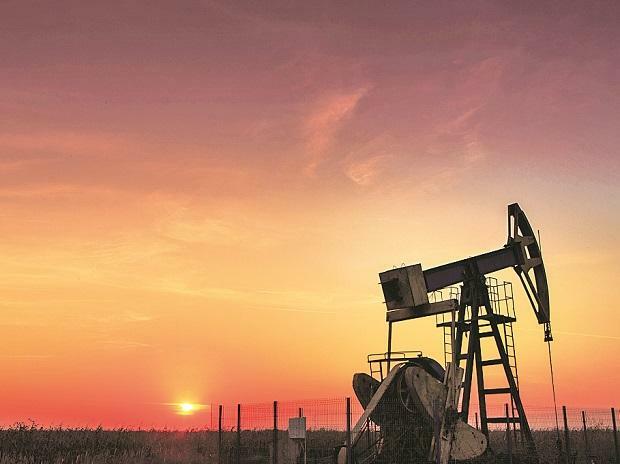 Oil prices were mixed on Tuesday as concerns about global crude oil demand and uncertainty over the latest round of US-China trade talks countered investor optimism around tightening supplies. Brent crude slipped 5 cents to settle at $66.45 a barrel, hovering below its 2019 high of $66.83 reached on Monday. US crude was up 50 cents to $56.09 a barrel, its highest since November 2018. Washington's sanctions on oil out of Venezuela, a top supplier of sour crude to the United States, has helped support US futures prices, said Phil Flynn, an analyst at Price Futures Group in Chicago. "Some of those sour grades are lifting the WTI... That seems to be the situation short term," Flynn said. In the bigger picture, "I think the market is looking for an excuse to follow through on the breakout, but there are still a lot of questions surrounding the US-China trade deal" and the global economy, he said. A fresh round of talks aimed at resolving the trade dispute between the United States and China began on Tuesday in Washington, with higher-level discussions planned for later in the week. Traders said they were cautious about taking large new positions before the outcome of the talks. In a red flag about the economic outlook, Europe's biggest bank HSBC warned it may delay some investments this year as it missed 2018 profit forecasts due to slowing growth in China and Britain. The Organization of the Petroleum Exporting Countries (OPEC) last week lowered its forecast for growth in world oil demand in 2019 to 1.24 million barrels per day. Some analysts believe it could be weaker. "Given a continuously uncertain economic picture, our already relatively bearish outlook for 2019 of below 1 million bpd in global oil demand growth may be subject to further downwards revisions," analysts at JBC Energy wrote. To stop a build-up of inventories that could weigh on prices, OPEC+, which includes members of the producer group and allies like Russia, began a new supply cut of 1.2 million bpd on Jan. 1. The cuts have helped crude rise more than 20 percent. Russian President Vladimir Putin and King Salman bin Abdulaziz Al Saud of Saudi Arabia, OPEC's de facto leader, said they supported continued coordination on the global energy markets, the Kremlin said on Tuesday. Investors said the statement eased doubts that Russia would stick to the pact. US sanctions against exporters Iran and Venezuela have also supported oil prices. Venezuela is a major crude supplier to US refineries. Iran's exports, while down steeply since sanctions began in November, have risen in early 2019, according to tanker data and sources.